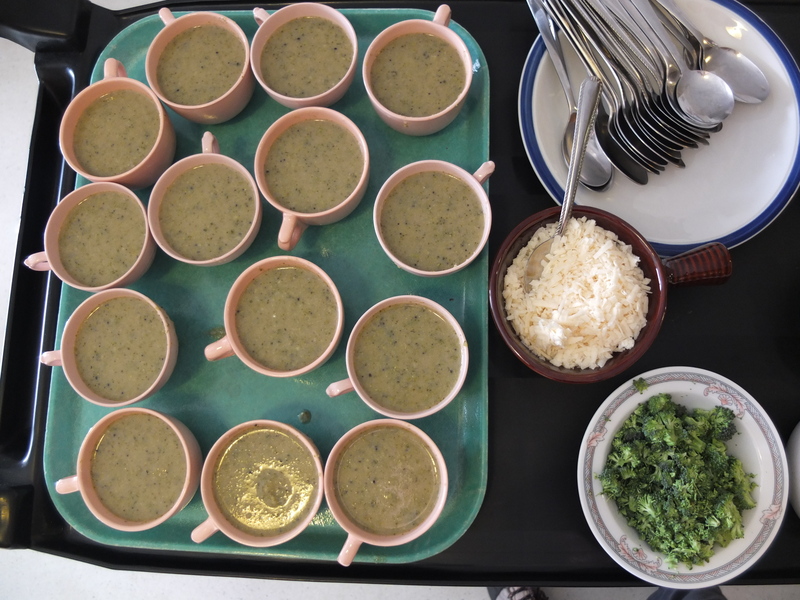 For community kitchen last month, we turned our Garden Club’s freshly harvested broccoli into a delicious creamy broccoli soup. We planted these babies last summer and the plants overwintered well – so in March the little sprouting broccoli started to appear, and now in April we are in full harvest mode. The harvest gave us a few pounds altogether. This entry was posted in Community Kitchen, Garden. Bookmark the permalink.